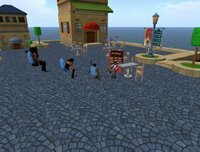 It's been a while since I last visited the world of Second Life. 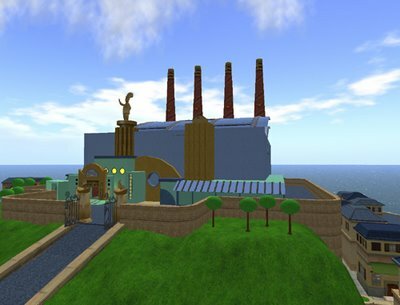 At the time I left, recession was kicking in, not only in the real world, but doubly in Second Life. It was not only the credit crunch, no, it was the Gartner Hypecycle kicking in with a bite. 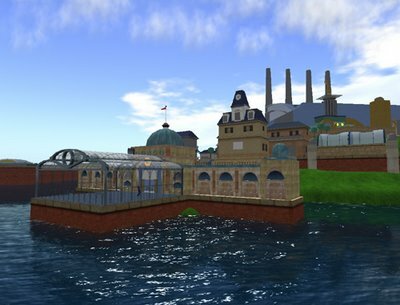 Companies were disappointed in the 'marketing' options of Second Life, and it was too early to get a solid business case for immersion. 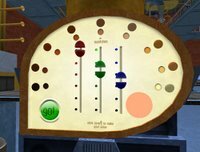 Now, Second Life is gearing up again. They've changed their marketing campaign for Businesses and revamped the website. 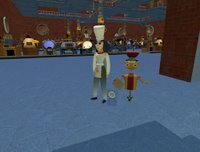 Highlights of the new secondlife.com from Torley on Vimeo. Now the new attitude is promising. 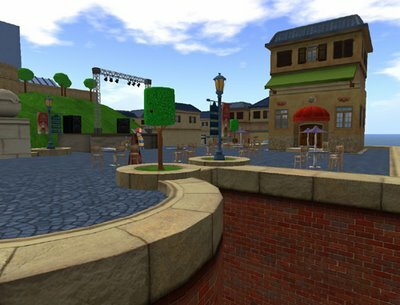 Back in 2007 and 2008 Second Life was bustling with Corporate activity, but after some exploration, allmost all companies left to do real 3D business elsewhere, like ABN Amro or Wells Fargo for instance. Second Life was not secure. Second Life management at that time did not really make an effort to support companies in Second Life, but I think now they've seen business drop and some part of 'reality' (i.e. cash) kicked in. There's money to be made from big clients, so I'm curious to see where it goes. Will have to see which companies have arrived since December 2008 and which have left since then top give a quick update on the Second Life Real Life Company Guide. Last week, the ReadWriteWeb, wrote an article titled "How Much Do Top Tier Bloggers and Social Media Consultants Get Paid? We Asked Them!" which probably is an interesting question to many bloggers out there. Most people who are paid to blog are paid per post. What kinds of rates are our respondents seeing? The low end of the scale was $10 per post for very short posts. Almost everyone else said they were paid $25 per post. One person said they were paid $80 per post! One respondent said they were paid $200 per item of long-form writing; bloggers often do other kinds of writing as well. Paid blogging is usually parttime stuff. Yes, people like Robert Scoble or the founders of big blogs like Download Squad and Engadget probably make a lot more. The question is, can you get paid to blog? Well, actually, that's pretty easy these days if you sign up at Social Spark. Social Spark is a social network with two types of accounts: bloggers and advertisers. 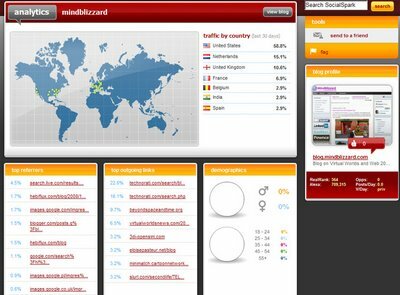 Start profiling yourself and your blog, add tags and start meeting the sponsors and advertisers. 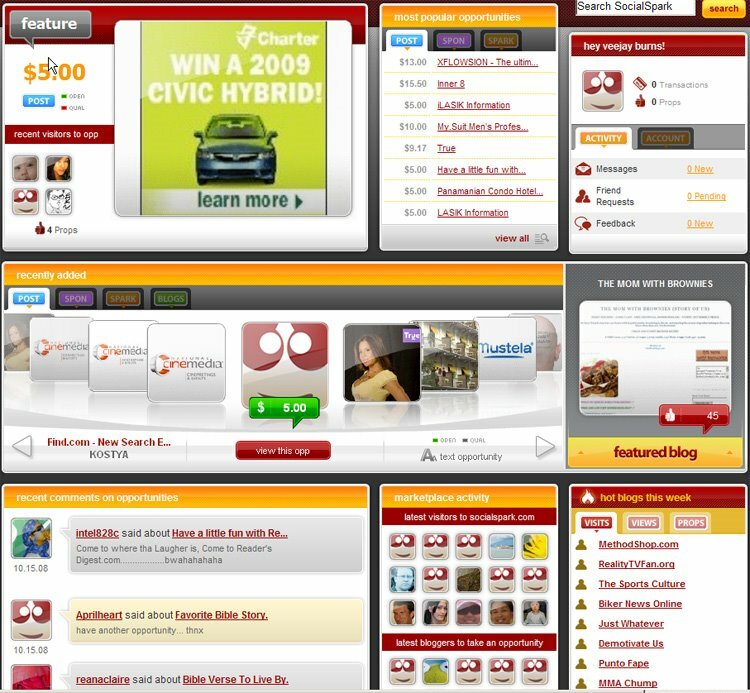 On the homepage you see the latest sponsorship offers, featured blogs, cobloggers and the hottest blogs in the system. There are basically three types of rewards you can get at the marketplace at Social Spark: Sponsored posts where advertisers pay an amount for a reasonable blogpost with enough references, Sitewide sponsoring, just put up some ads on your site and finally, there's Affiliate sponsoring, which in my opinion goes somewhat into dark territory. Once you put up your blog, you (or potential sponsors) can find a number of statistics about your blog, such as visits, real rank and alexa rank as well as demographics. Okay, I signed up and there were actually a number of sponsored posts which I would be interested in doing but, alas, the MindBlizzard blog cannot participate as it has several guest authors. One of their criteria is that you and you alone own and create the blog. 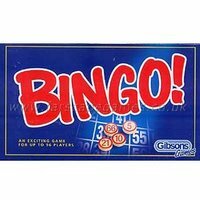 So much for this sponsorship deal as I value the input of my guestwriters more than making a few bucks on posts. 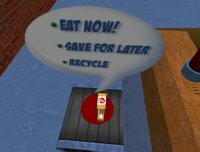 An interesting story about the return of Coca Cola in Second Life. Through Reuters. SECOND LIFE, Sept 30 (Reuters) - Will the marketing of real world brands in Second Life find a second life? Maybe. 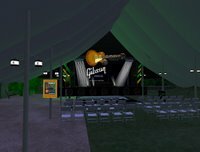 Nestea, a Coca-Cola brand, announced today it’s sponsoring Second Life’s “Junkyard Blues” venue. Neither Nestea nor Junkyard Blues’ owners were available for immediate comment. But a visit to Junkyard Blues shows a “Sponsored by Nestea” banner over the main stage. Don’t try clicking on the banner though — it’s non-interactive. The sponsorship, while modest, represents an affirmation of Second Life as a continued destination for real-world companies to market their goods. A recent survey by BusinessWeek ranked Coca-Cola as the most valuable brand in the world. 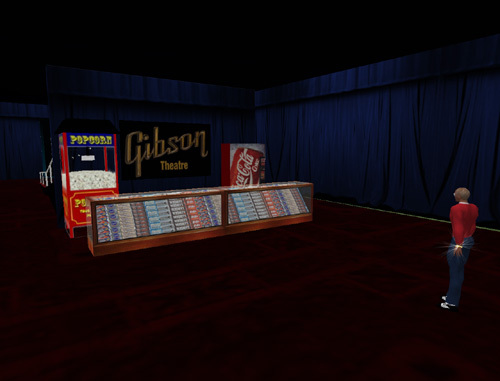 Nor does the choice by Coca-Cola of a Second Life blues venue seem coincidental. 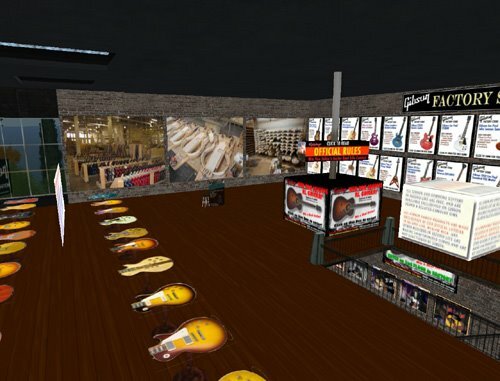 Last month, Second Life bluesman Von Johin signed a record deal in what’s believed to be the first virtual musician to break into the real-life mainstream. 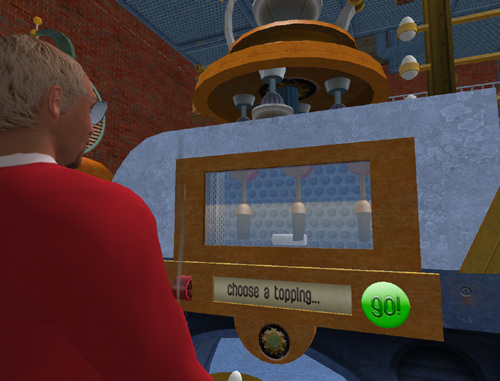 Coca-Cola was among the companies that made a strong entrance into Second Life during the first wave of corporate marketing with a “virtual thirst” campaign. However in recent months, the company has stepped back its Second Life profile, taking the virtualthirst.com website offline. "I have to say that I think the build quality and approach knock just about every other corporate build into a cocked hat. In large part this is due to the decision by involve3d, the builders, to execute most of the build work outside of Second Life, using Maya. 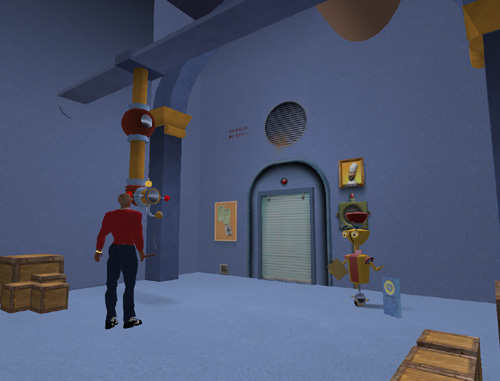 The resulting structures and textures were then uploaded for final placement in the sim. The result is a spectacularly successful marriage of forms and detailed textures - which is my pretentious way of saying: it looks great!" 7Days is one of the brands of Greek Vivartia, a foodconglomerate, which mainly produces packaged dough foods. The Vivartia Bakery and Confectionery Division (following the absorption of Chipita International S.A.) is active in the production and distribution of standardized foods principally with a flour base. Since the establishment of Chipita in 1973, the Division has experienced steady development with particularly successful products both on the Greek and international markets. Always maintaining faith in quality and constant innovation, the Bakery and Confectionery Division of Vivartia has developed strong market labels such as 7Days, Bake Rolls, Molto & Finetti, which consumers trust on a daily basis. As I said, the official opening was not ontil yesterday, when at 10 p.m. they hit off with a spectacular launchparty. It's been a while since I've seen a launchparty by a corporate build in Second Life. This alone makes the sim noteworthy. At this point in (media) time most companies flee media attention when it comes to their Second Life presence, either because their presence will justly be criticized as they don't know what they're doing in Second Life, or because the media still does not understand the values of the virtual world. Last month I blogged about CIGNA, an insurance company, with a highly succesfull presence in Second Life, and this is indeed another corporate gem, ready to go into the Best Practises for Companies textbook for Virtual Worlds. "Come play with your food! Meet rebellious robots and maestro bakers! Design, eat and trade your own custom pasties! 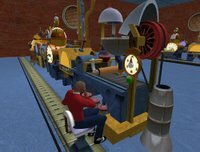 A rich, whimsical bakery theme park … there's lots to do!" And indeed, a whole town surrounds the bakery. 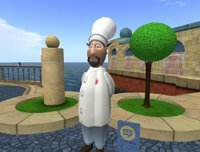 After landing and walking through the entrance we meet Chef Vivardi on the first corner to start of the background narrative. Next to the Chef you'll see a small sign. When clicked, the narrative starts. You'll find these points of interaction throughout the sim. Undoubtedly, the centerpiece of the sim is the snack factory, towering above the surrounding village at the center of the sim. 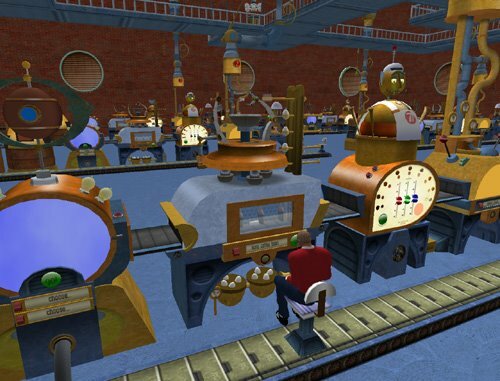 Inside the factory you can take place at the production line an produce your own 7Days snack. Start with choosing your flavour, then color, topping, packaging and mood and be on your way with a customized snack. The production line is an excellent piece of scripting. 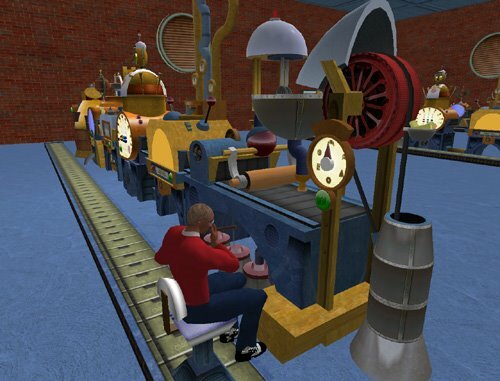 The idea of depicting a production line in Second Life isn't new, see for instance the blogpost "Second Life Yummy Garden" in which I describe how Ben & Jerry's did about the same over a year ago, which also was a big success in my opinion. Anyway, there's lot's more to see. This is a highly recommended sim. Enjoy your travels. While browsing through the newsarchives in the business section of the Avastar, a popular magazine on Second Life, I came across an article on Gibson Guitars in Second Life. The article is dated July 19th 2008. 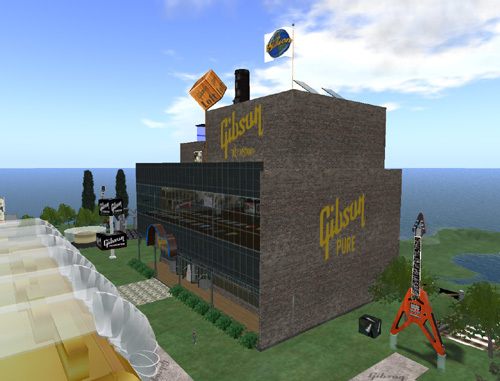 GIBSON guitars launched their new presence in Second Life with a party on Wednesday. The famous corporation put on a spectacular music show at the event with Bob Welch of the band Fleetwood Mac appearing as Bobwelch Magic. 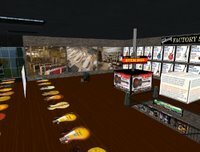 He was also joined Second Life artists in performing at the party. The land is in the shape of a guitar body and will be used to host a series of concerts in the months to come. There are also plenty of freebies dotted around the land which includes a diner and various dance areas. 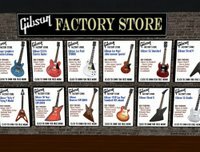 For those who have never heard of Gibson, here's some wiki-knowledge. 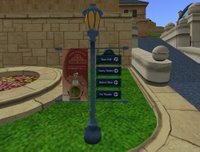 "It is in part of the grid that has many new sims, and many more in the early stages of construction. This sim is no different. 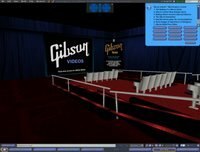 The main feature is a combination of terraforming and object creation that forms the shape of the Les Paul guitar body, complete with strings, controls and pickups. However, it looks like a first cut at the moment - a "build it and see what it looks like" experiment that may be developed into a more fully-fledged version in due course. 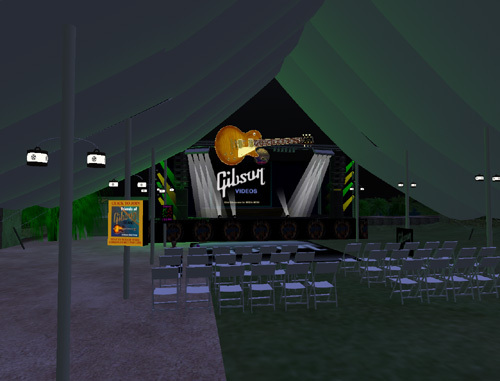 One side of island has more practical public spaces - an acoustic stage, a diner/dance hall and an electric stage. However, it is immediately obvious when you arrive that the island is quite a way off being ready. There are various odd bits of things dotted about the sim, seemingly is varying stages of test. As I've commented before, opening the doors too early is not necessarily a good idea, since you end up with non-reports like this one. I can't really make any fair comment on the sim because it is so incomplete - but that's because I am of a generous disposition. A meaner "me" might treat any open sim as public and hence fair game, and review it accordingly. It is better to get the sim to a state you are happy to consider complete before letting in the hordes." Well, that was back in February, the island finally opened up in July. We're now a couple of months onward, so I'm a little late to check it out, but I'm curious to see what's out there now. The good this is that upon arrival there were actually quite a number of avatars flying about exploring the sim as well. One side of the sim has a nice nostalgic American feel to it, it's major roads shaped like guitar necks lined with classic cars and typical American bars. Also Gibson Trolley will transport you if you so desire. Hether and thether you will see giant guitars standing out making it a bit of a jumble, but one the whole I like what I'm seeing. 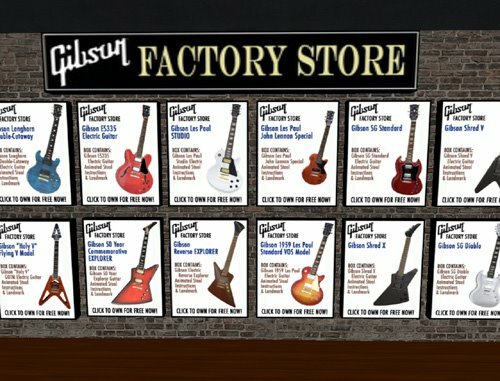 The main venue is the Gibson store, and the great part about is, it offers you dozens and dozens of virtual Gibson guitars for free! This is merchandising. Lots of companies out there charge you a couple of Linden dollars for a lame t-shirt, this one gives away actually usefull stuff for free. They've understood that you won't make money selling small things, but have invested in building their brand and reputation. You also have the opportunity to win a Real Life Gibson. In the center of the island you'll find a clutter of things underneath another giant guitar neck with giant strings. 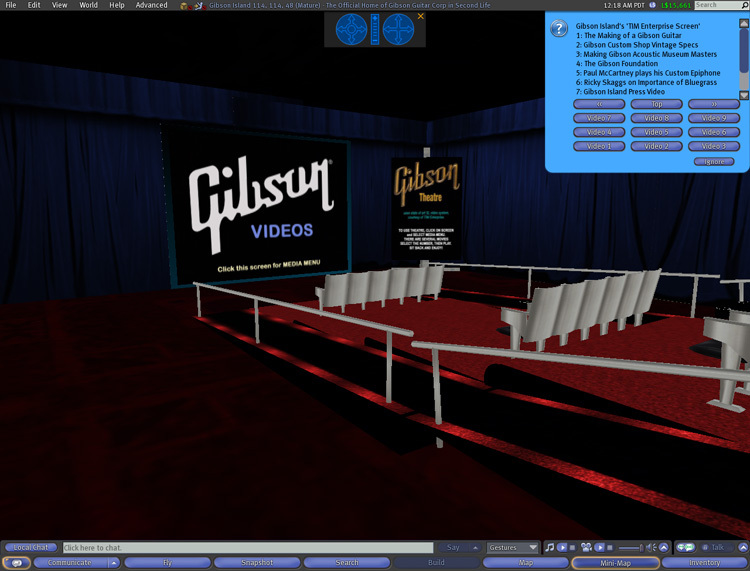 One of these areas is the Gibson theatre in which you can view a number of presentation, among which a video about the production process of guitars. There's a lot more to do and see, but as it is, this post is getting long enough. 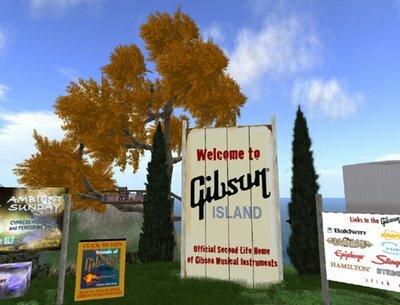 For a complete overview of stuff to do and see, visit the official Gibson Lifestyle page on Second Life here. The island is surrounded by other islands, some in the early stages of development. 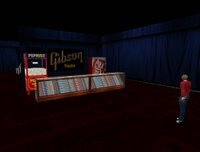 I checked out one, a sim called Epiphony, which is also Gibson owned. 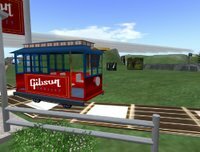 I think this points out that Gibson's presence in Second Life has been a success sofar and they are expanding and investing in building a community. There's no denying trouble at the Dow, or any other Stock Exchange. Some even say the storm of the century is blazing across Wall Street. There's so much going on that even I felt the need to comment on it, even while I focus on Virtual Worlds. Come to think of it, it isn't that farfetched as the NYSE guys and shortshellers didn't speculate with real money either. They've thought up a virtual capital, a virtual economy, uncovered wealth to push the market in the direction of real profit. Now speculating with this virtual wealth falls through and to many people it becomes a horrid reality as they run into credit or mortgage trouble, or might be fired in the coming months. Techblogger Robert Scoble wrote an article called Economic Idiocy and at this point in time we may face Idiocy, maybe even frenzy, but at its core is something much darker: It is greed. 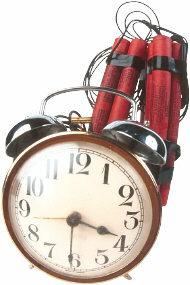 A ‘little while ago” Descarte wrote: “Cogito Ergo Sum”, I think therefor I exist. In the past century -and especially in the USA -it has grown to I shop, therefor I am. Well, now we drop dead shopping. Back to thinking, looking at what we’re doing out there. What do we need, and why do we think we need more? Why do we desperately want to have a bigger car than our neighbours, or a bigger house than our colleagues. If you’ve done healthy financial management, didn’t overextend and are debt free, the storm will pass. Maybe we’ve got to accept the fact that in other cases it’s a dreadfull, yet necessary correction to our unbridled greed. 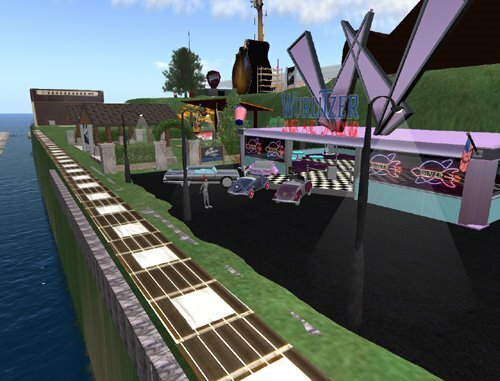 The vBusiness Central project in Second Life will launch in April with a 4 day Expo, to be held bi-yearly in April and October (which coincides with the Virtual World Conference). We'll be announcing dates and details very shortly. If you want to keep up with developments, including other Clever Zebra events and product updates then join our email list to be first with the news. 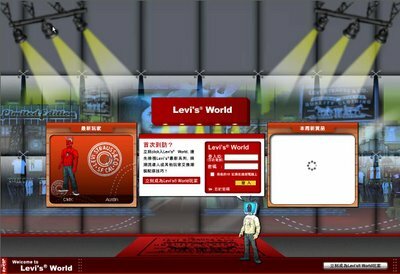 In October Jeans tycoon Levi's launched its own extraverse, Levi's World, in Hong Kong, a branded virtual world dedicated to Levi products. It's first live hours saw over 6.000 registrations with eager fashion addicts and pretty soon we'll see the English version go live. "Are you fed-up of Facebook, sick of Second Life? If so, then you may be interested to know that Levi’s are claiming to have ‘disrupted the convention’ of such social networking sites with the launch of the first ever (do they really think so?) branded virtual world. No prizes for guessing what it’s been called, though"
Levi's weren't the first to go extraverse, but it is a logical step. Throughout the Metaverse you see people paying a lot of attention to their avatars, with clothing being a hot marketing item. 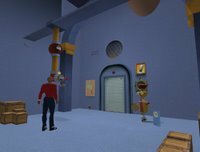 First images do not show this world as able to create realistic avatars and environment, but a bit more cartoonesk graphics. The world is aimed at 15-25 year olds and has a free membership model. However, economy and marketing comes into play as you're able to buy your Levi stuff and can obtain vouchers which can be used at Real Life Levi stores. To go from scratch to a dedicated extraverse is a giant leap, but Levi's has got several years of experience in the Metaverse which they started to explore as early as 2003. 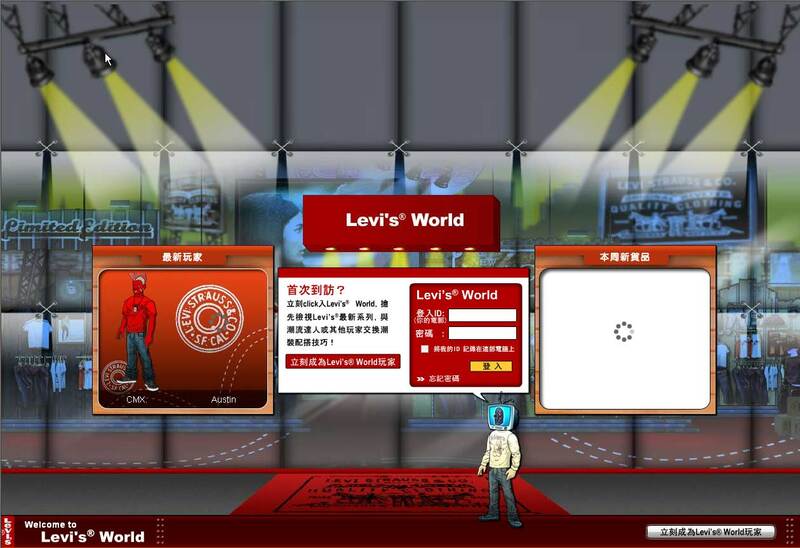 Along with Nike, Levi's was one of the main sponsors that pushed the launch of There.com. There launched its beta-test form -- 27,000 users have already entered the There world -- in January, with Nike and Levi Strauss & Co. among marketers who partnered with the firm to see how their wares fared in a virtual marketplace. Both brands will continue their relationship with there." Full There.com launch article here. Real Life has been very stressfull and very very busy this last month. Since there's Mrs. V and the Kids to keep in touch with I haven't really had time to dig into Second Life, let alone blog it. The good news is, I'm getting back up to speed, starting with visiting the Virtual Worlds Conference and Expo next week in San Jose, California. I'm really looking forward to it, especially since I've got an appointment with a Linden Lab employee on tuesday. It's been a while since Coca Cola entered Second Life. When they finally entered, a lot of us were expecting a whole lot from them. Now they're turning their backs on Second Life with outright disappointment. What happened? Let's get back to the start. 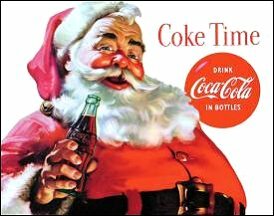 In early april an enormous buzz surrounded the anticipated immersion of Coca Cola. 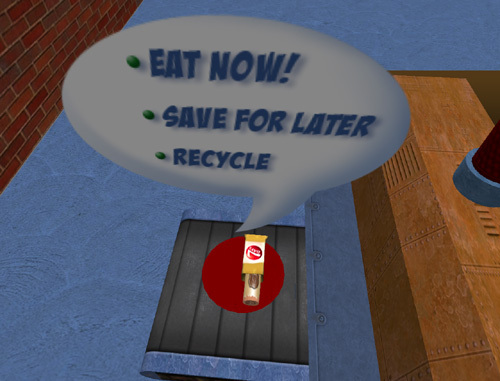 We'd all expected Coke to launch a cool island in Second Life, but they didn't. 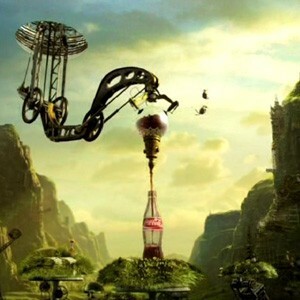 Led by marketing agency Crayon they've set up a small campaign on the Crayon island as an extention to Coca Cola's new marketing campaign, "Virtual Thirst". The buzz created in the days leading to this release was good. The actual immersion a bit disappointing to many residents and bloggers. Yet Crayon seemed to be doing a good job. The "Coffee with Crayon" sessions showed commitment to the community, or engagement (one of the 5 essentials according to Information Week's Mitch Wagner). I think over the past months, since april 2007, respect grew for the way Crayon & Coke handled things. At least, I've seen pretty positives things in the blogosphere and we were curious to see where this was going. However, Coca Cola has a reputation when it comes to marketing. It spends millions of dollars on brilliant television ads, most of which we can recall pretty well. 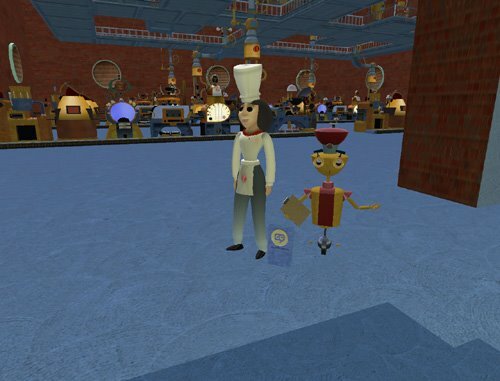 I personally had expected them to create such an epic adventure in Second Life as well. But they didn't. And now they're disappointed. "Yet Donnelly decided to put money into Second Life anyway. He's no digital naïf: When he joined Coke last summer, the company was being ridiculed for its huffy response to a spate of Web videos showing the soda geysers that erupt when you drop Mentos into Diet Coke. Within weeks, Donnelly had Coke and Mentos sponsoring a contest on Google Video that's gotten more than 5.6 million views. But Second Life was different. 'Many places you go, there's still nobody there," he concedes. That's certainly the case with Coke's Virtual Thirst pavilion, where you can long linger without encountering another avatar. "But my job is to invest in things that have never been done before. So Second Life was an obvious decision.'" "What they didn't count on though, was the fact that Second Life isn't full of the same echo chamber web2.0 commentators that wave and cheer and throw their knickers at mere mention of user generated media. No, it's made up of ordinary folks interested in their own stuff -- their own shops, groups, businesses and friends. And when you realize that, is it any wonder that the figures cited by Joel Greenberg are less than stellar?" 31,000 Youtube views with 160,000+ comments. "Here's what I think: Hardly anyone entered the Virtual Thirst contest, which is why Crayon kept asking for submissions, why Coke didn't mention how many entries the contest got, and why the official site now rots before us. If the contest did receive an impressive number of entries, where's the evidence on Flickr, YouTube, MySpace, or the official Virtual Thirst site? " Furthermore, he remarks "And then... nothing. No mention of the fact that the contest judging was delayed by over a month. No major Virtual Thirst site updates, just an announcement of the winning entry two months after submissions were closed. At the time of this writing, the official Virtual Thirst site doesn't even acknowledge the winner." "Would it be reasonable to put up a promotional video on YouTube that not many people wanted to watch, leave it there, see that it didn't get a lot of views and conclude that YouTube was a useless medium? Or, for that matter, to publish one issue of Wired and then complain that people stopped buying it after a while?" This was said in response to Chris Anderson's The Long Tail: Why I gave up on Second Life, another of those examplary articles of old media not understanding the world we live in today. It's not fair to say this blog by Chris Anderson is another examplary article. It's pretty much the same article. Chris Anderson writes for Wired and both the Long Tail and Madison Waste article are signs of personal frustration. They're only looking for the negative aspects in this story and don't leave room for (even small) success stories. Donnelly said in public he thought this first entry into Second Life a success. We don't have all the data, Coke has. We don't know what their criteria for success were at the start. But if the client is happy, why say it's a flop? 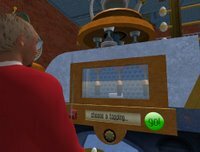 "'Coke was in Second Life prior to us actually entering SL,' said Donnelly, referring to coke machines fans were making and putting in the world. Taking what the fans were doing to the next level, Crayon and Coke developed a contest to make a vending machine, with the idea that SL residents are thirsty for experience. 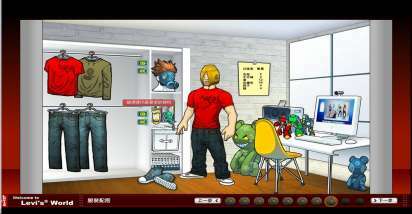 Of course, avatars don’t have physical needs like eating and drinking, but by taking the brand value of coke and appropriately translating it into a virtual world, Crayon and Coke created an appropriate, successful campaign. To be clear, I’m not saying they were successful, Donnelly the client said the campaign was successful based upon the criteria they set for themselves." "In such a small market, you must expect small returns until the economy grows. You cannot expect big things to happen. Consider an analogous situation: a big-city manufacturer shows up in 45,000 resident Smallville and spends $1M on a spanky new store. By the way, the big city manufacturer produces items that are not usable in Smallville. What do you think is going to happen?" So did Coke blow the bubbles or didn't they? Coca-Cola by nature is not a virtual brand. It's products (soft drinks) have absolutely no value in a virtual environment. Avatars don't need nutrition. This means Second Life, or any other virtual world, isn't suitable as a product selling platform. It has merits though when it comes to branding. 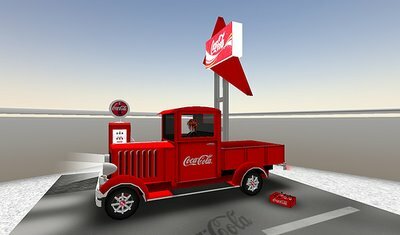 Coca-Cola is a strong brand and is capable of creating a strong brand experience in tv-commercials. If they're capable of creating Christmas they must be able to create a Second Life experience as well. We're just in the early days of Virtual Worlds and they will grow, no matter what frustrated journalists say. The userbase (which might not be as large as many would have liked) in Second Life is a very active, downright creative and critical userbase. And if they can "make it there, they'll make it anywhere." 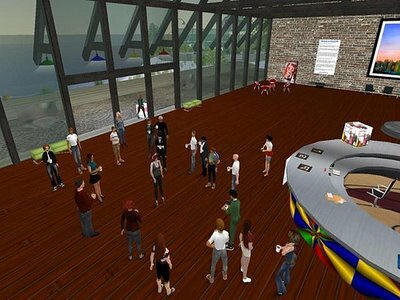 The Dutch University InHolland is the next Dutch Educational institution that's active in Second Life. Their sim has been around for several months now, but hasn't been open for public sofar. 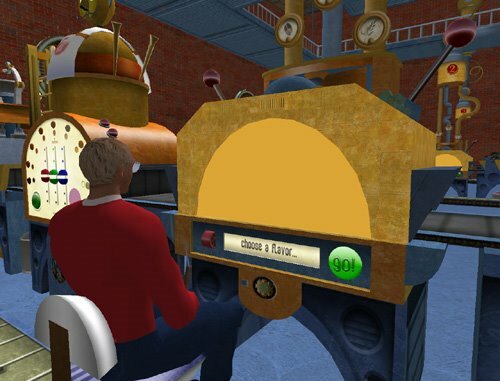 However, a Communication & Media student from the University of Applied Sciences INHOLLAND, Rotterdam, has graduated in Second Life as first virtual graduate in the Netherlands on thursday june 14th. "From a marketing perspective virtual communities are an interesting research and investment area," says graduate Josje van Beek. "Two dimensional virtual communities like weblogs and forums have been the subject of research and marketingstudies quite often in the past. Now that there's 3D added tot this 2D community by means of gaming and video technology I wanted to study how interesting this would be from a marketing perspective. This is the subject of my thesis; "3D Virtual Communities as a Marketing Instrument." To Josje it seemed a logical step to defend her thesis in Second Life, as she uses it as case study. "In the defense of my thesis I will both visually as textually explore the possibilities of a 3D environment," Josje said upfront. 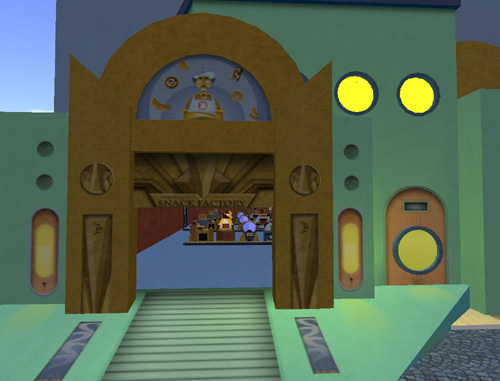 The graduation is put on tape by real life video and snapshots and movies from an avatar point of view. Thanks to Dobre @ Secondlife Blogo / Lost in the Magic Forest for pointing out this story. It seems "local" is one of the big buzz words going around. These are two of the things I have heard associated with local marketing. I believe some have referenced the long tail saying that small local establishments advertising could add up to more than the big Brand advertisers. what is your take on this? Do you think it is truly a scalable solution? Which do you think "local" targeting provides the greatest area of growth mobile or online? Do you think if the same "targeting" ability was available in radio maybe to target someone in a specific zip code would the demand be there? With the huge amount of spamming and direct mail and unpersonalised printed marketing material you would indeed think it would be a winner if you could get into the local-targeting mode. It's not a winner though, it's a slight improvement. With todays technology of online banking, online ordering etcetera the winner is: income and spendinghistory specific marketing.